Thank you for your interest and contacting us at U.S. TaeKwonDo . We will get back to you within 24hr. or feel free to call us at 860-646-9500 thank you! Taekwondo is an elegant art form and a dynamic sport. its known for its emphasis on dynamic kicking techniques, a a strong striking techniques which distinguishes it from other martial arts systems such as Karate, or Kung Fu. TaeKwonDo as a martial art is popular with people of both genders and of many ages. Physically, TaeKwonDo develops strength, speed, balance, flexibility, and stamina. wTaeKwonDo teaches a skill that will improve your overall health and help you protect yourselves in case of an emergency. You will be learning techniques that are practical in real life defense scenarios in a safe & controlled manner. 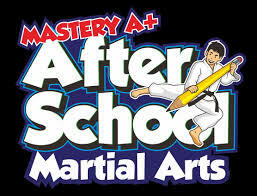 We at U.S. TaeKwonDo we accept all types of students. So come give it a shot whether it is for a family activity or you want you inprove your overall health and strength then U.S. TaeKwonDo is the place for you!